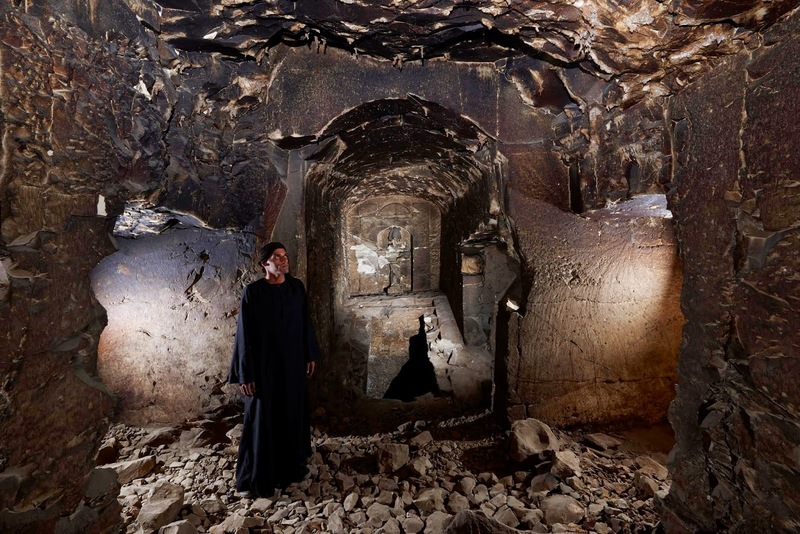 A new complex representing a model of the mythical Tomb of Osiris was discovered in Sheikh Abd el-Gourna, inside the unpublished tomb of Kampp -327-. The Canarian-Tuscan Archaeological Mission directed by Dr. María Milagros Álvarez Sosa and deputy director Dr. Irene Morfini, in Cooperation with the Ministry of State for Antiquities, holds the concession of two tombs in the Theban area of Sheikh Abd el-Gourna: TT109 (tomb of Min) and Kampp -327- (anonymous tomb). While the tomb of Min is almost completely unpublished, except for some attempts at drawing plans during the 20th century and a brief article written by Philippe Virey in 1887, tomb Kampp -327- is wholly unpublished. The architecture of this tomb is peculiar, representing a model of the mythical tomb of Osiris, of which the most evident replica known so far is considered the Osireion at Abydos (see plan). 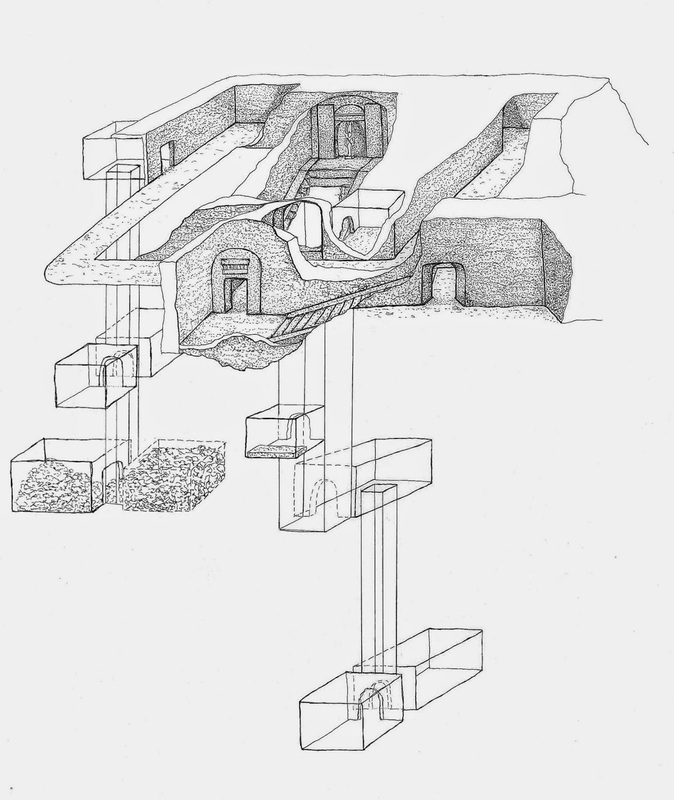 After a transversal hall supported by 5 pillars, a staircase goes down into the bedrock leading to a complex dedicated to the god of the netherworld, Osiris. A statue of Osiris is located in a chapel with a vaulted ceiling in the middle of an intricate structure. In front of the Osiris statue there is a staircase with a shaft cut into it. This shaft goes down for about 9 meters, leading to a room and a second shaft, which is about 6 meters deep, ending in the deepest part of the monument. The Osiris statue is surrounded by a corridor, which is meant to isolate and protect the most important part of the complex. The symbolism of Osiris is very evident here, since all the elements recalling the mythical “Osiris tomb” are present: a big staircase of 3,5 meter long with a 4 meter high ceiling at the bottom leading to the Netherworld and another one leading directly to the Osiris statue, which is therefore at a higher level and ideally isolated on “his island”; the Osiris statue itself; the empty corridor surrounding it which symbolizes the channel of water (see Osireion in Abydos); the expected burial chamber below the statue, thus identifying the deceased with Osiris. Comparing this complex with similar tombs containing Osirian elements present in the area (TT33 Petamenophis, TT34 Montuemhat, TT36 Ibi, TT37 Harwa, TT389 Basa, TT414 Ankhor in the Assasif and TT223 Karakhamun in the South Assasif) we can date it to the 25th-26th Dynasty. The appearance of Osirian elements in private tombs is documented, as far as we know, only in the 25th-26th Dynasty in these large funerary buildings of the Assasif area. Furthermore, on the west side of the corridor surrounding the Osiris statue, a room opens up containing a shaft. This shaft is about 7 meters deep and presents two empty rooms on the north and south side, as well as two rooms filled with debris on the east and west side. The room on the west side, which was inspected during the present season, is a funerary chamber decorated with reliefs representing chapels with demons and deities holding knives. These figures, running around the walls, were meant to protect and guard the body of the deceased.